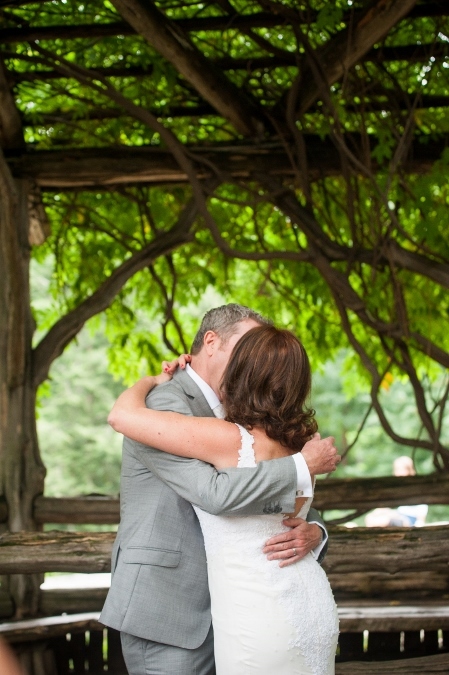 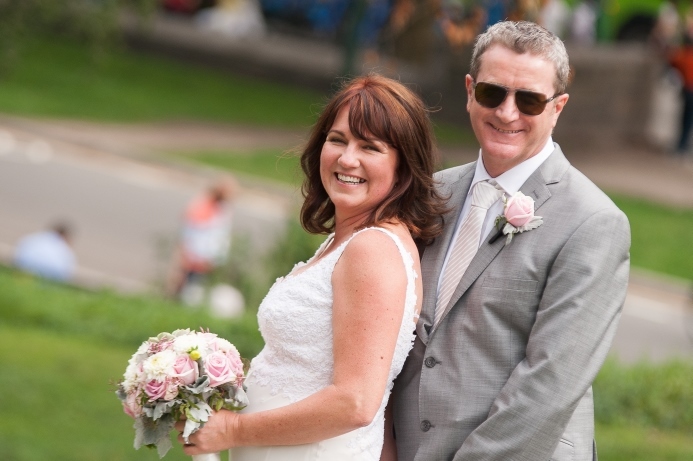 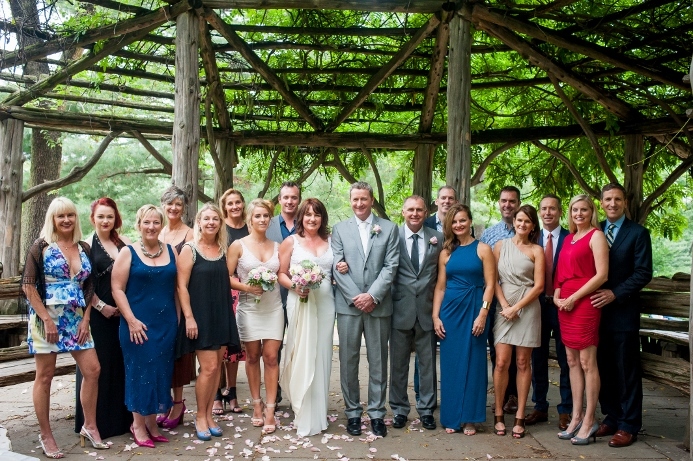 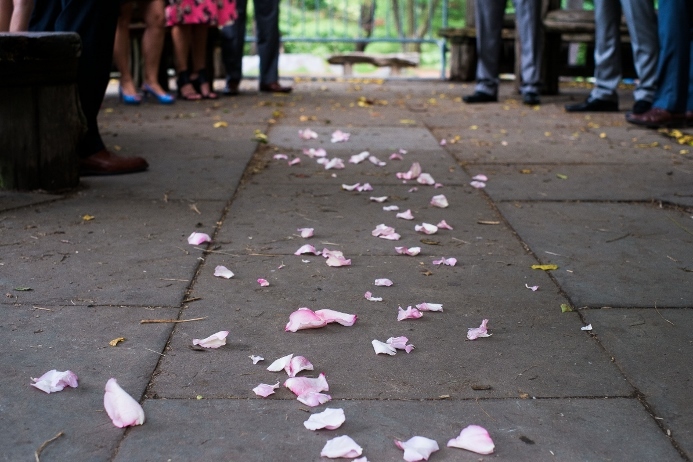 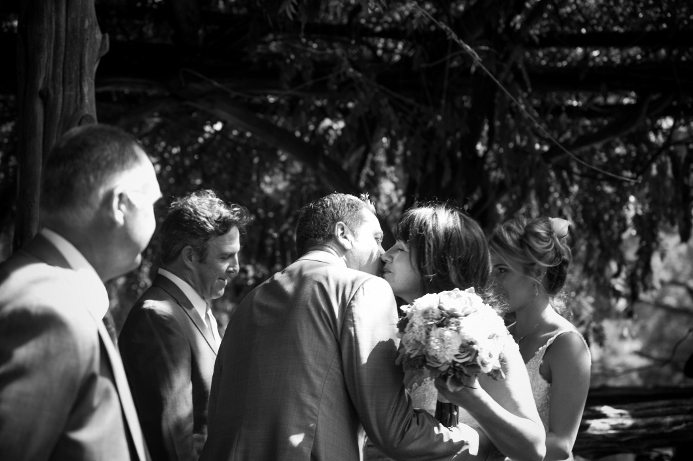 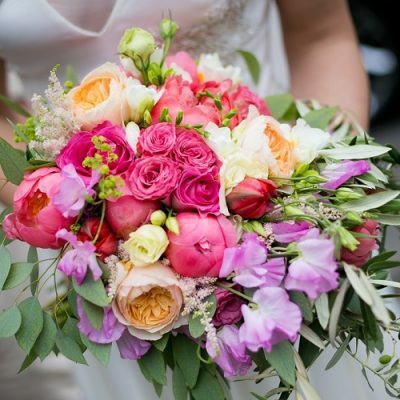 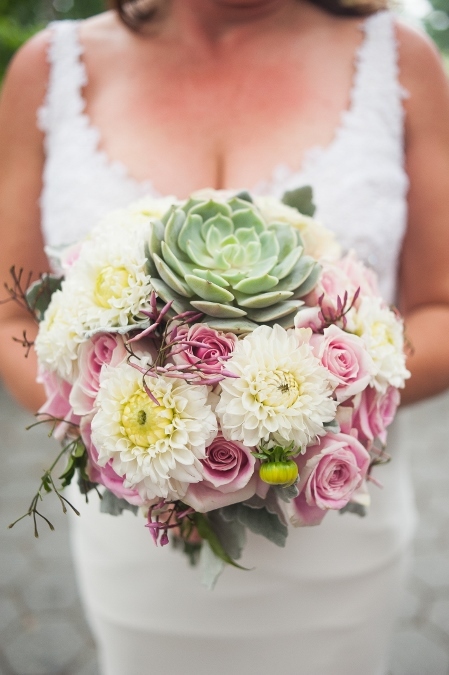 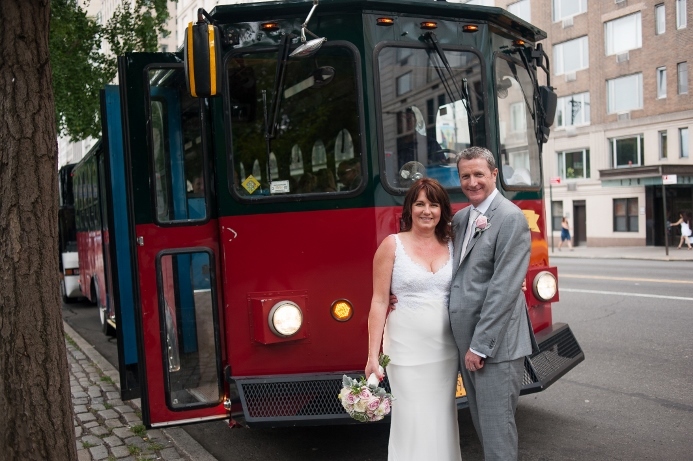 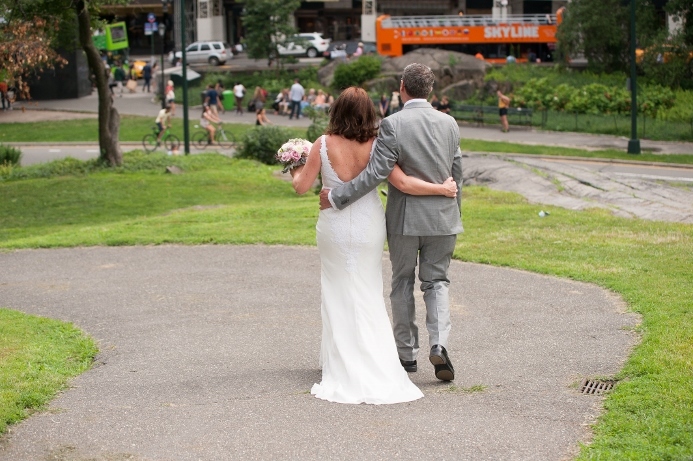 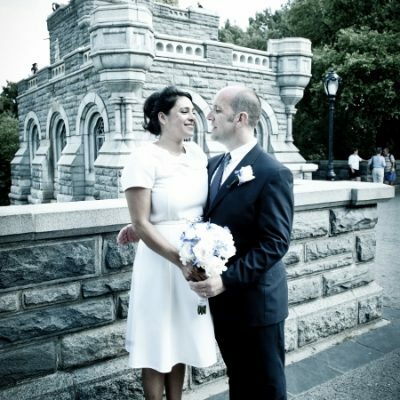 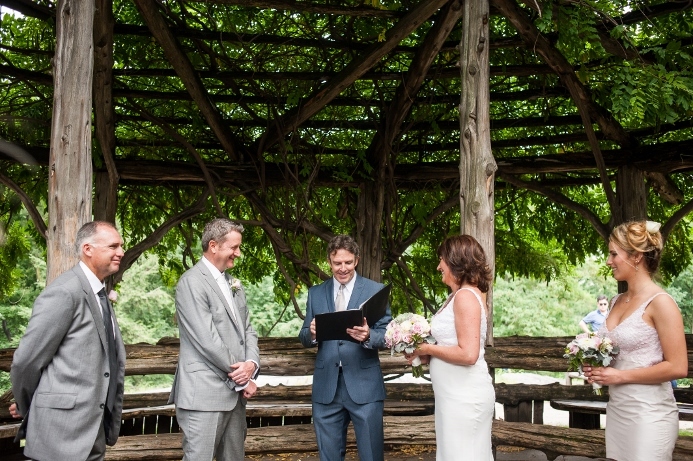 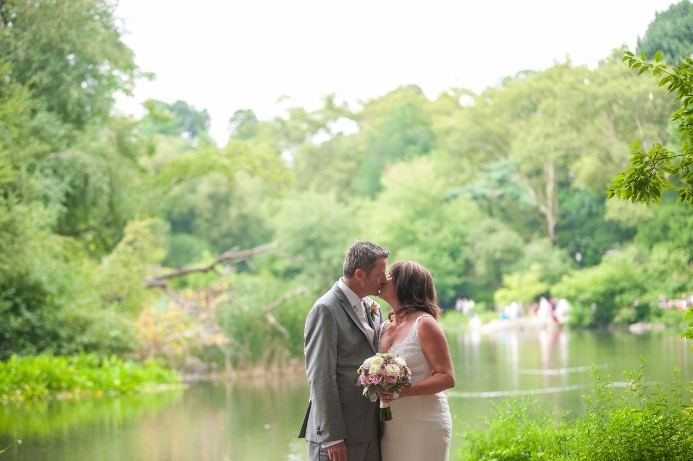 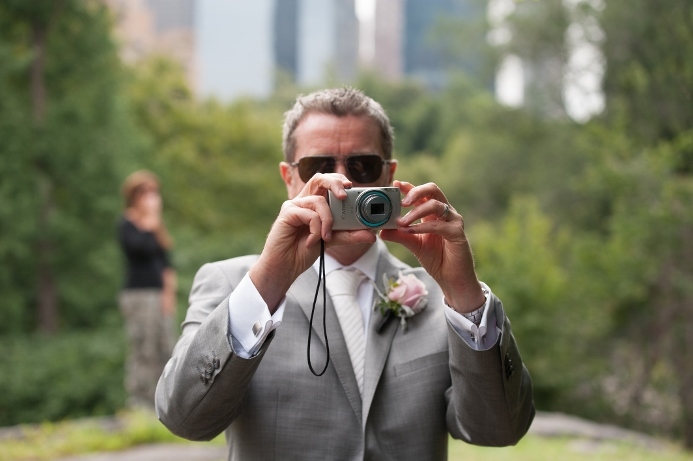 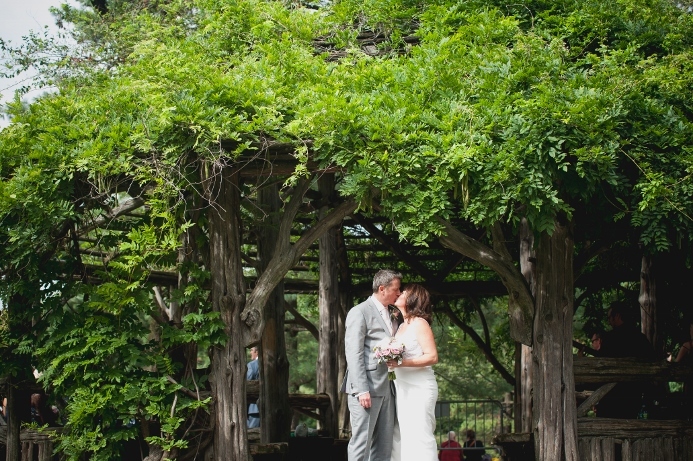 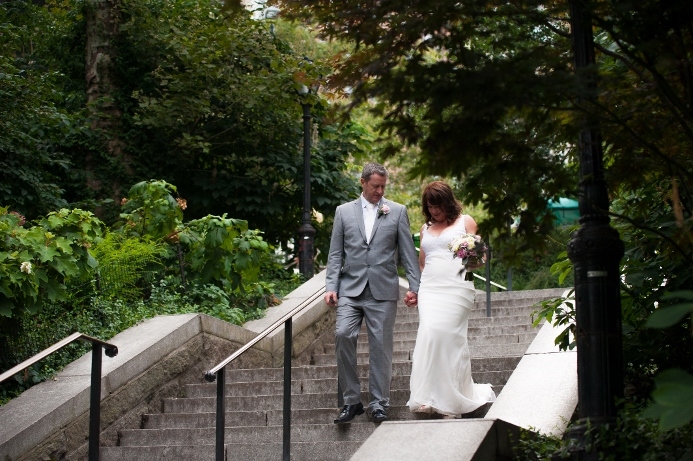 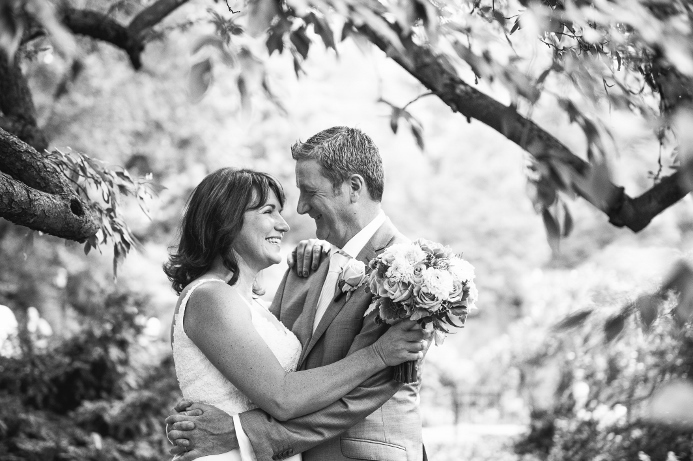 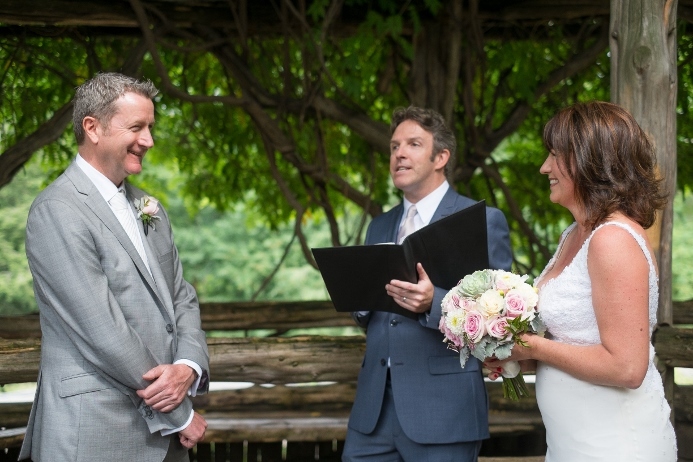 Tanya and Gordon traveled all the way from Australia for their summer wedding at Cop Cot in Central Park. 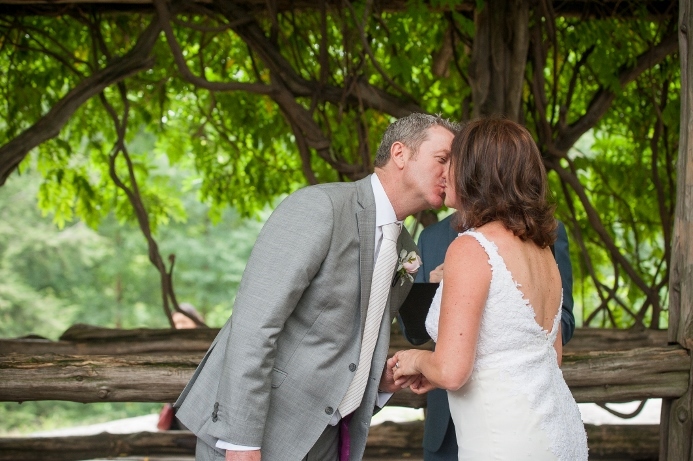 While awaiting the arrival of the bride, family and friends chatted in the shade as a classical guitarist played music softly in the background. 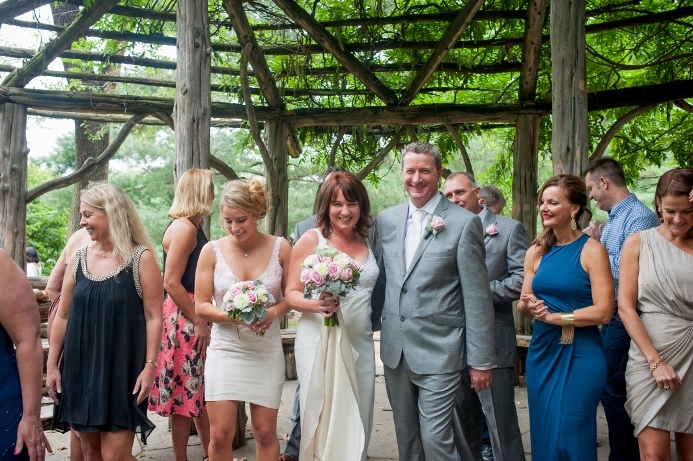 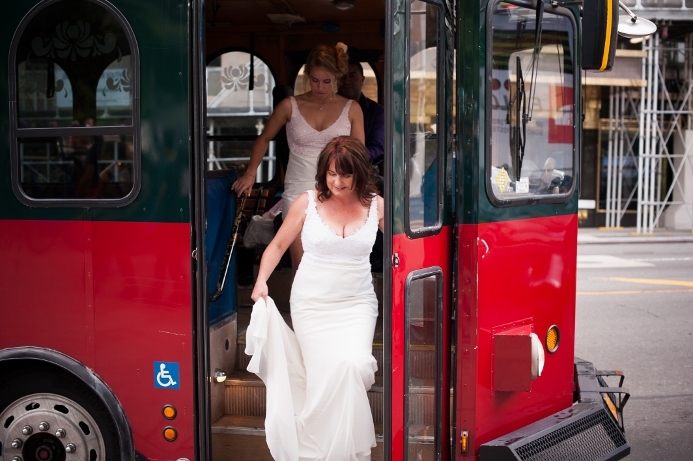 Tanya arrived soon after and was escorted down the aisle by her daughter to the rustic ceremony location. 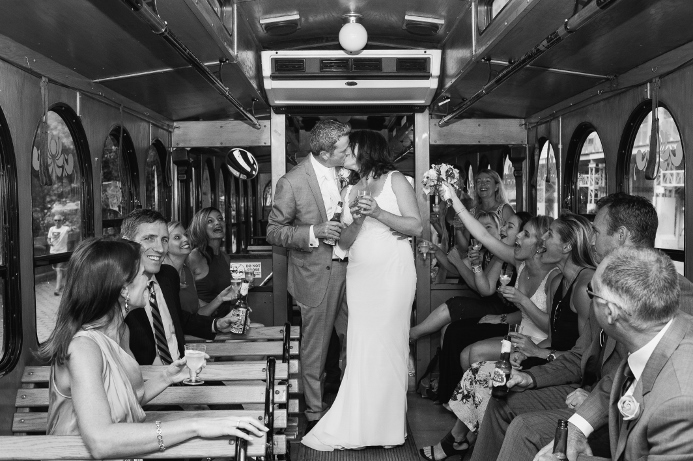 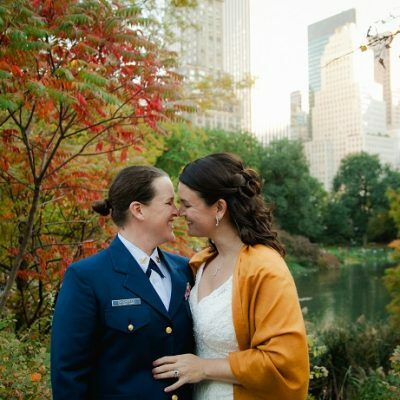 After the couple was pronounced, the group boarded a private trolley for a sightseeing tour of New York City before heading to the newlywed’s dinner reception at Gramercy Tavern. 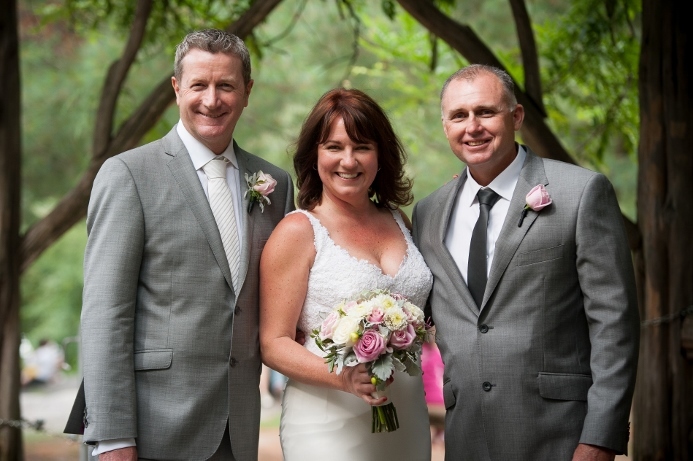 Congratulations, Tanya and Gordon!